This chapter identifies the need for GIS and geospatial applications in health research. Spatial epidemiology (or geo-epidemiology) and geo-medicine are two rapidly growing fields in medical research and epidemiology. They could offer tremendous potential to the healthcare industry, health researchers and students, as well as the community in general. Their main advantage is the wide range of methodologies that they utilize in order to study health outcomes and incidences in three or four dimensions (2 or 3D space and 1D time). Therefore, this chapter also introduces selected GIS applications with a special focus on epidemiology and public health. Furthermore, in this chapter we will critically appraise the most frequently used tests and spatio-temporal methodologies in the literature and discuss the future emerging trends and research opportunities that arising. Medicine, public health and epidemiology, as well as other social and health sciences, have always been considering “place” as a significant factor for individual particularities, population variations and inequalities. The concept of individual health and holistic healthcare and health management was first introduced by Hippocratus and was later expanded and further studied in the 1990s (Macintyre & Ellaway, 2003). The idea that place, individual characteristics and attitudes along with the external environment affects health has nowadays become widely accepted. “Place” is not only referring to the geographical location (e.g. location of residence), it is a wider concept in the context of space (including each location an individual has visited, environmental conditions and exposures, societal framework, culture, religion, economy, habits, human interactions etc). The terms of “place” or “space” refer to all the phenomena that occur on earth or any sub-entity, such as human. These phenomena actually occur in the so called “real world” or more correctly the “spacetime”. Spacetime refers to any mathematical model that combines space and time into a single interwoven continuum, while in our universe it is usually interpreted from an Euclidean space perspective (3 dimensions of space and 1 dimension of time). These concepts are extensively used in data analysis in physics, geography and mathematics contrary to health research that employs conventional methods of analysis. 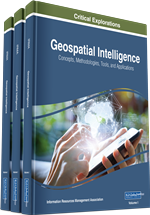 These concepts refer to a quantitative and qualitative approach that is met in the philosophy of the Geographical Information Systems (GIS). GIS have a long history in research with a range of applications in various scientific fields. Roger Tomlinson inserted the term “Geographic Information System” in 1968, while Tomlinson was acknowledged as the “father” of GIS and John Snow as the “father” of spatial epidemiology (Coppock & Rhind, 1991). Spatial epidemiology (or geo-epidemiology) and geo-medicine are two rapidly growing fields in health research and epidemiology. GIS offer tremendous potential to the healthcare industry, health researchers, students and the community, but are still considered as a new tool. Thus, further efforts are required in order to explore GIS in health and incorporate them in the already established medical practice. Highlights impact of GIS, space and time on health research. Furthermore, the examples of geospatial and spatio-temporal methods of analysis that are discussed involve descriptive, exploratory and explanatory statistics. For instance, major analytical tests that are appropriate for analyzing disease patterns or health outcomes, mapping clusters, assessing autocorrelation, grouping common trends, identifying risk regions and hot spots, modeling spatial relationships, predicting spatial trends or future dispersion of disease and health-related events [e.g. Getis-ord Gi*, Anselin Local Moran's I, Geary’s c, Ripley's K Function, Interpolation Kriging, Geographically Weighted Regression (GWR), Ordinary Least Squares (OLS), Knox spatio-temporal test and other].